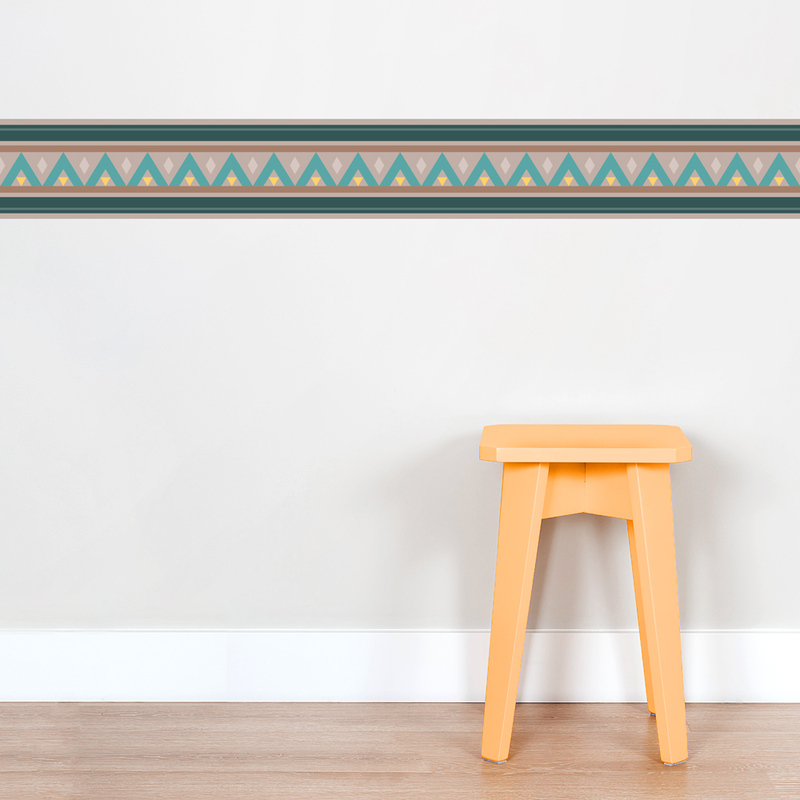 Give your walls a geometric flair with our Triangles Removable border decal! Please note: Colors may vary slightly from the images above. Wallums removable wallpaper borders are "peel and stick" and require no paste or glue. Installation is as simple as peeling the panel from it's backing sheet and sticking it to your wall. 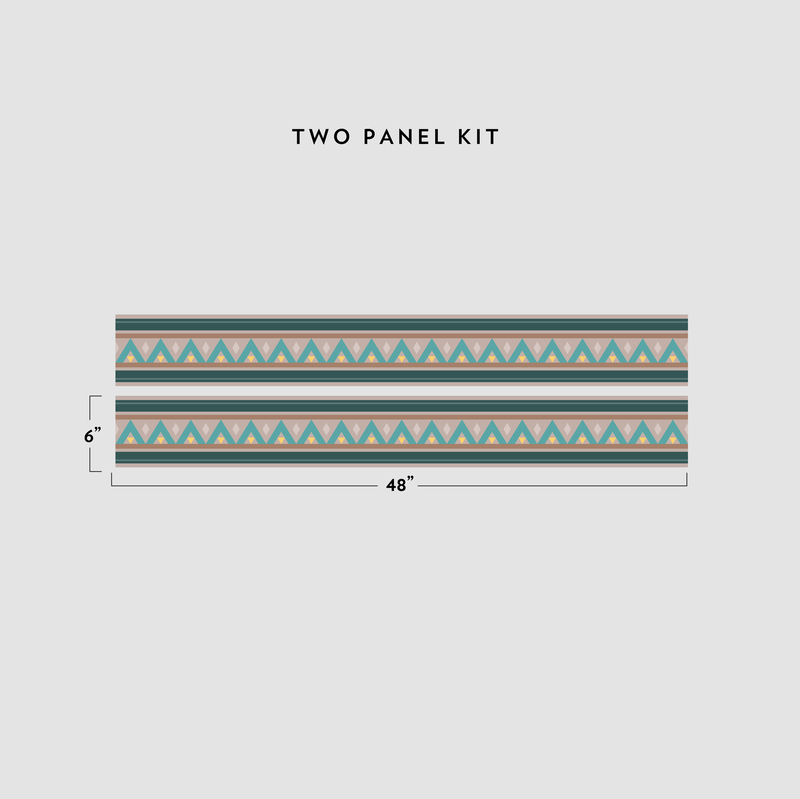 Our special self adhesive fabric material will not tear or crease and can be repositioned many times. When you are ready to remove the design, just simply peel it off! Each single panel is 48" wide x 6" tall. Custom sizes are available upon request. You can view answers to other frequently asked questions in our FAQ.